First aired: Spring 1989 – Summer 1992, 161 episodes! Summary: Ranma Saotome and his father, Genma, practice in the Saotome school of anything-goes martial arts. While training in China, they fall into the cursed springs of the legendary training ground of Jusenkyo while being warned specifically not to fall into the springs. Each spring holds a different curse for any that fall into the pool of water, where apparently a different being has drowned in each of these springs. Ranma falls into the Spring of Drowned Girl, emerging as a beautiful girl and Genma falls into the Spring of Drowned Panda…you guessed it, as a panda. Long story short, come in contact with cold water and become your alternate form, come in contact with hot water and become your normal form. Ranma ½ begins with Genma and Ranma taking up residence with Soun Tendo, owner of the Tendo dojo and Genma’s old training partner. Tendo has three daughters and is the head of the Tendo School of anything-goes martial arts. Tendo and Genma have made an arrangement in the past for Ranma to marry one of Tendo’s three daughters in order to combine the two schools and allow Ranma to inherit the Tendo dojo. It is decided that he will be engaged to Akane Tendo, the youngest daughter. Ranma and Akane must put up with one another as fiancés, no matter what the conditions! 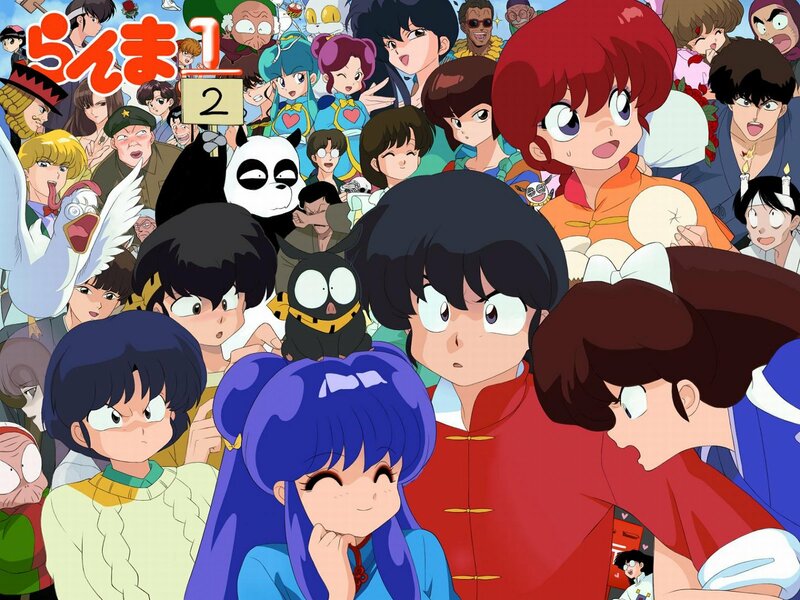 Ranma ½ is a classic 1980s anime, from the animation style to the soundtrack. Genma has a unique tune that plays every time he becomes a panda, and so do other characters. This is a fun and light-hearted anime, where you will laugh at times and shake your head at other times. There are many repeated jokes throughout the series, some of which get worn out after a while, where others stay fresh and get a new spin on them at times. The story does not progress at a decent rate, feeling like a stand still at times, due to the series appearing to be broken up into mini-stories that are about five episodes each. Overall it is an enjoyable anime to watch and to see an anime that has been influential to many that have come after it. You might enjoy this if: You want to get nostalgic or want an anime that will bring your spirits up after watching a soul-shattering, depressing anime. You might not like it if: You get frustrated when you want two people to get together and love each other, but they just will not do it! Note to the Viewer: If you enjoy the anime, check out the Ranma ½ manga. There are a lot of chapters, and there is additional story in them. Positives included the late 1980s art style and storytelling, the opening song that typified late 1980s J-Pop, the fact that it was a fun and light-hearted anime, and the nostalgia felt by some. A good point brought up was that if you are going to continue watching the anime after the group meet up, it must be a decent anime. Many group members plan to continue watching, so it must be decent. Something that was a positive and humorous was that while many characters hated Ranma, they only hated one gender of Ranma, not both of them. There were a few negative points brought up. One was how most of the characters had one specific quirk that identified their personality, and the quirk would be played out over and over again. Another negative was the progression of the story, or lack thereof. The series was split into mini stories of about five episodes each, and would go one to the next without a lot of actual progression. 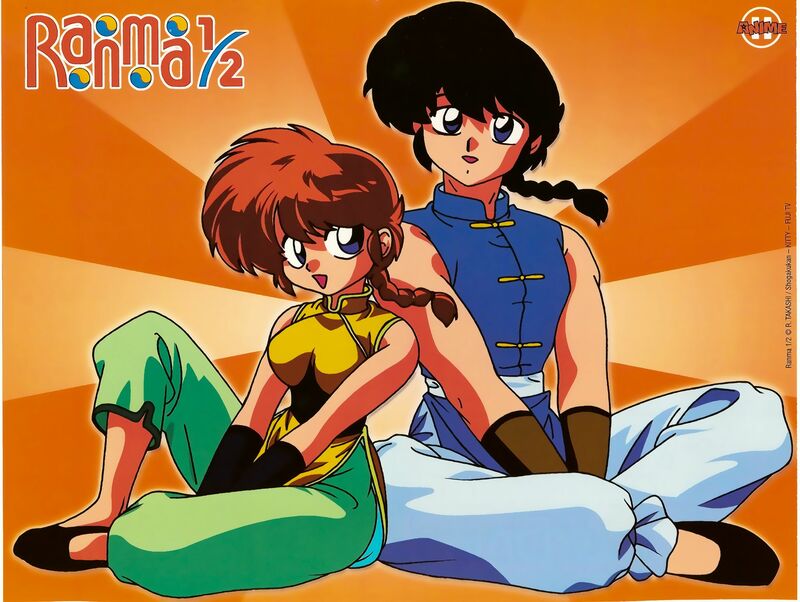 Ranma ½ is a good dessert anime, one that could be watched an episode or two at a time, in between more serious shows. There were mixed reviews on the English dubbing and with Ryoga as a character. People either loved or hated the English dubbing and we will leave it at that. Some people enjoyed Ryoga’s lack of a sense of direction and personality as a pig, while others did not like it at all and found him annoying. This entry was posted in Anime and tagged 1/2, 161, 1989, 1990, 1991, 1992, anime, anything, arranged, arts, comedy, fantasy, fragglepuss, goes, life, marriage, martial, peculiar, ranma, review, school, slc, slice, transformation. Bookmark the permalink.